Enhance your everyday adventures around the Los Angeles area by financing or leasing a new 2018 Audi A3 sedan. From its standard leather seating and powerful turbocharged engine to its available Audi virtual cockpit and MMI® Navigation plus with voice control system, the 2018 A3 sedan is truly in a class all its own. Want to test-drive a new Audi A3 Premium or A3 Prestige? Come to our Audi dealership near Los Angeles, CA, to explore the new 2018 A3 price, specs and more, to see how this Audi sedan compares to the INFINITI Q50, Lexus IS and Mercedes-Benz C-Class! The new 2018 Audi A3 sedan comes fully loaded with luxurious amenities, advanced technologies and dynamic performance that can't be matched. 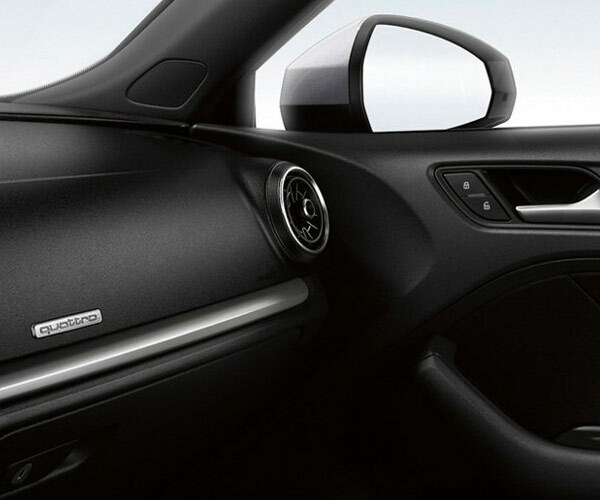 The new 2018 A3 interior offers premium features like a standard panoramic sunroof and leather seating surfaces, putting it in a class above sedans like the Q50, IS and C-Class models. Add in entertainment features like the 14-speaker Bang & Olufsen® Sound System and the Audi smartphone interface including Apple CarPlay™ and Android Auto™ to get a truly rewarding experience every time you hit the road. Plus, the 2018 Audi A3 mpg ratings and engine specs will blow you away. 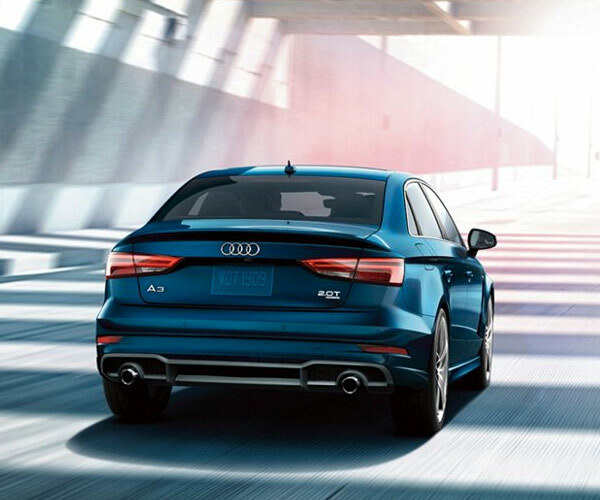 Stick with the standard 2.0-liter TFSI® engine to get up to 35 highway mpg, or upgrade A3 models to include the iconic quattro® all-wheel-drive system. No matter which 2018 A3 trim you select, you'll drive home a luxury sedan that has no equal. Compare the 2018 Audi A3 sedan to other luxury sedans to see why so many drivers in Greater Los Angeles turn to the A3 year after year. Apply for Audi A3 financing or view 2018 A3 lease options to get the process started!